In the jet age, hoping across continents in a single day is uncommon even for older aged folks; on the contrary, it is quite an amazement and thrill for friends, family such as relatives or parents visiting USA or any western nation. For first time visitors to the United States, there are lot of planning and issues to consider before embarking on the trip across seas. 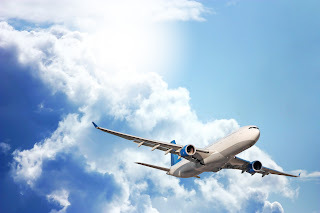 The time duration of the journey has so much reduced these days with the state of the art technology used in intercontinental flights saving time and providing the utmost comfort to make such travel a pleasure and something to look forward too. The cost of being treated in the US without visitors insurance is astronomical when compared to home country costs, hence, visitors to the US must have medical insurance if they want to enjoy their trip worry-free without getting into debt for the medical bills that follow. It is also prudent to not be overconfident that your visitors to USA have visitor medical insurance and to be prepared about something and everything that many travelers say when confronted with any medical issue. However, it is important to know what visitors insurance covers, and what it doesn’t. Not everything is covered by visitor insurance coverage plans and certain conditions including pregnancy and childbirth are excluded upfront and listed in the plan exclusions. Remember that it is best for insurance to cover your visitor’s medical expenses in case something unexpected happens such as an emergency hospitalization due to injury or even a routine sickness. Visitors medical insurance covers typical medical expenses arising out of unexpected medical conditions, including accidents and health related sickness while as a visitor in the US. To provide cover for the most financially straining of these unexpected events, most plans also provide benefits for repatriation of remains and accidental death and dismemberment. Hospitalization in an emergency and consultation with a doctor by a scheduled appointment are usually covered up to the plan maximum in a comprehensive visitor insurance plan. In case the plan is a fixed benefits plan, the coverage is according to the maximum specified under each medical service and is clearly indicated in the schedule of benefits table in the corresponding plan brochure. Knowing what visitor medical insurance USA covers and more importantly, doesn’t cover, can help save a lot of stress and heartburn. It is also good to note that an annual medical check-ups or routine physicals or anything that is considered planned medical treatment is not covered. Obviously, this includes any previously existing conditions; scheduled medical visits for physicals, dental care (unless an emergency for sudden pain), vision care for prescription eyewear, and pregnancy-related complications. However, some plans might offer limited coverage for acute onset of pre-exiting conditions. VisitorsHealthInsurance.com offers a wide array of visitor health insurance plans that provide the required medical coverage and protection necessary for visitors to USA or elsewhere outside their home country. One needs to evaluate all the visitor insurance providers and their plan offerings before making the purchase. As reliability of processing claims and access to medical care in dire emergency is the most vital check on the efficiency of any given plan selected, it is vital to get your visitor insurance from the right company based in the United States. Also verify that the provider insurance company is reliable, on call 24/7, friendly always and not just when you are signing a new plan, and efficient in all transactions.